Ohhhhhh I love a sweet treat. And in Chiang Mai we discovered a few delicious things!!!! Once upon a time, these treats were originally made from the crusty bits of rice left behind at the bottom of the rice pot (a cross-cultural love — in Persian cooking the best part of the rice is the crusty bit). 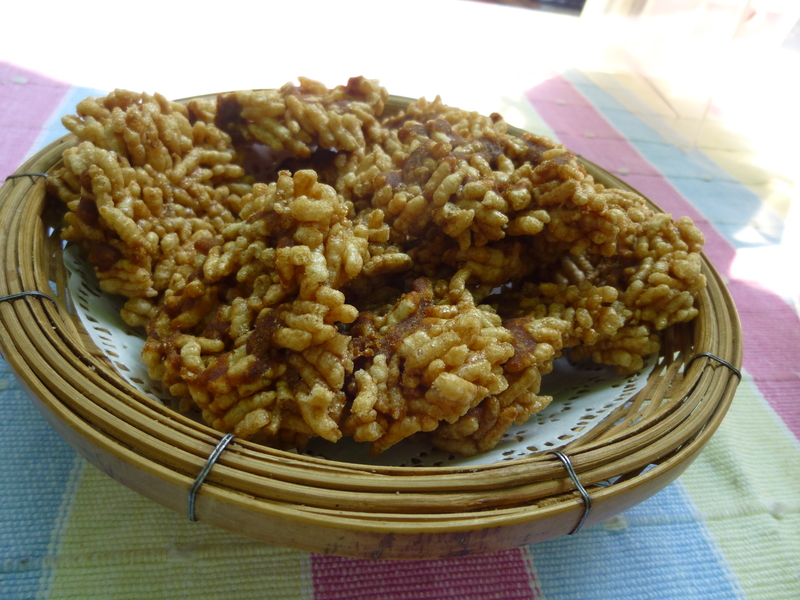 These days, they’re made as fried sticky rice cakes drizzled with cane sugar. Yum. 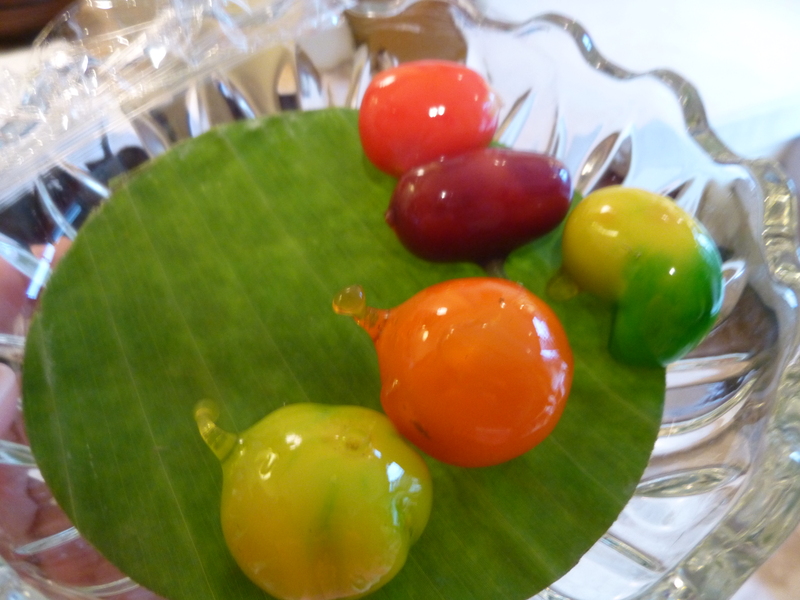 My fiancé also had them as a savoury dish, (called Khao Tang) served with a peanut dipping sauce! 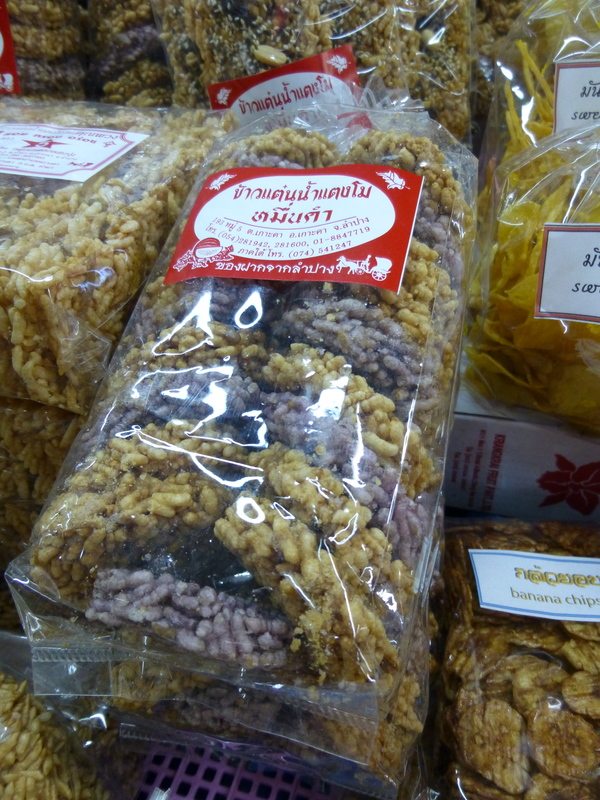 We were lucky enough to have the sweet rice cakes (which are nothing like the rice cakes we get at health food stores!) 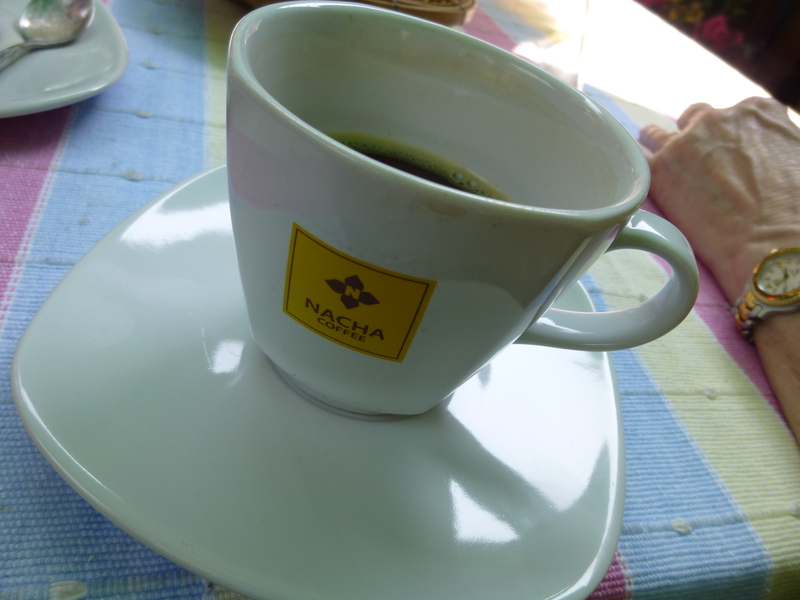 pictured above with a cup of “Asia’s best coffee” — Nacha coffee. Divine. I haven’t tried to make these at home, but I did find a recipe online at shesimmers.com — I can’t wait to try it! I love discovering new foods when we travel, especially sweet treats! Thanks for sharing your travels, not only of memorie I have, but new things I haven’t seen, and the pictures are so great, I can almost taste the food, and smell the Flowers.